When students with disabilities transition to life after high school, linking to adult agencies for ongoing support is vital. The process takes awhile and requires the advocacy and support of a parent/guardian for years (prior to exiting high school). The Glenbard staff has constructed this resource to help students and their families navigate the challenging system of adult services. We are dedicated to the positive outcomes for all our students. Please contact us if you have any questions or suggestions about the contents of these pages. 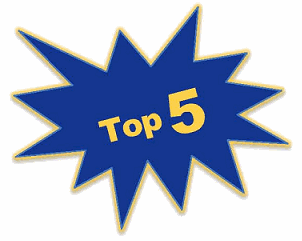 We challenge everyone to start with the TOP FIVE! Please start by reading about and applying for the TOP FIVE! While Illinois and DuPage County have more than five resources, the TOP FIVE! are the place to start. Once you navigate the TOP FIVE! you are well on your way! Remember to register as a user under “Mail List Registration!” You’ll receive an email when updates and/or notices are added to the webpage. Together we can prepare students for life after high school.